The Saturday morning group gets it done! Coach Rob is nearest to the camera. Oh, joy. I like resistance training about as much as I like cold showers, but I was dumb enough to say I wanted to get stronger. So off into the snow it was. And I knew just the place – a two-mile stretch of sidewalk along a business route. Some of the sidewalk had been shoveled, other parts less so, and some not at all, providing at least four inches of fresh powder to run through. Perfect interval training. And the snowplows had helpfully piled on even more on the bridge across I-94, so even with an evening temperature in the teens, I got warm very quickly. 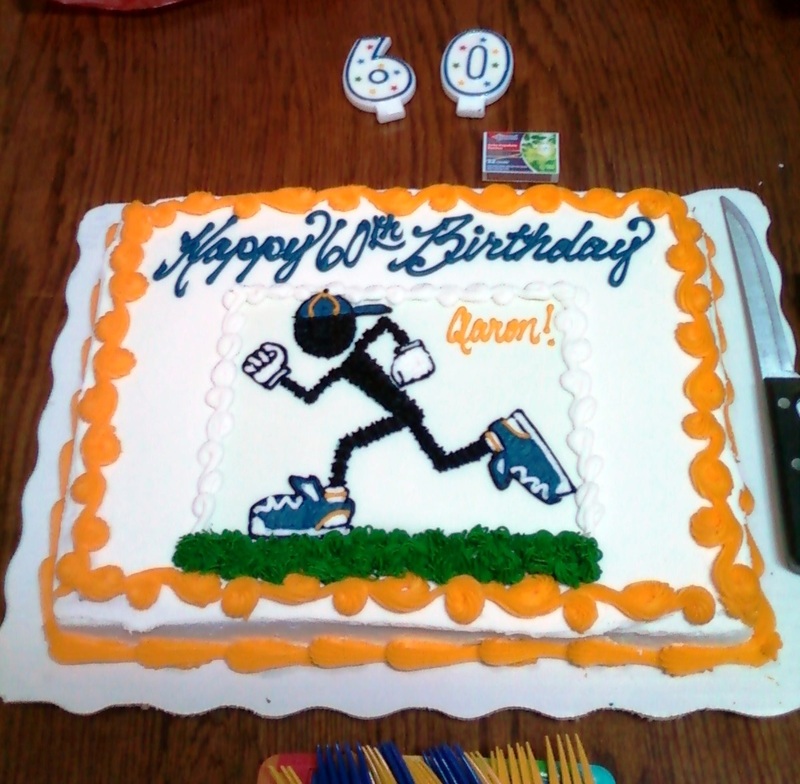 Last weekend also marked the 60th birthday of Aaron, one of our regulars and a strong marathoner. 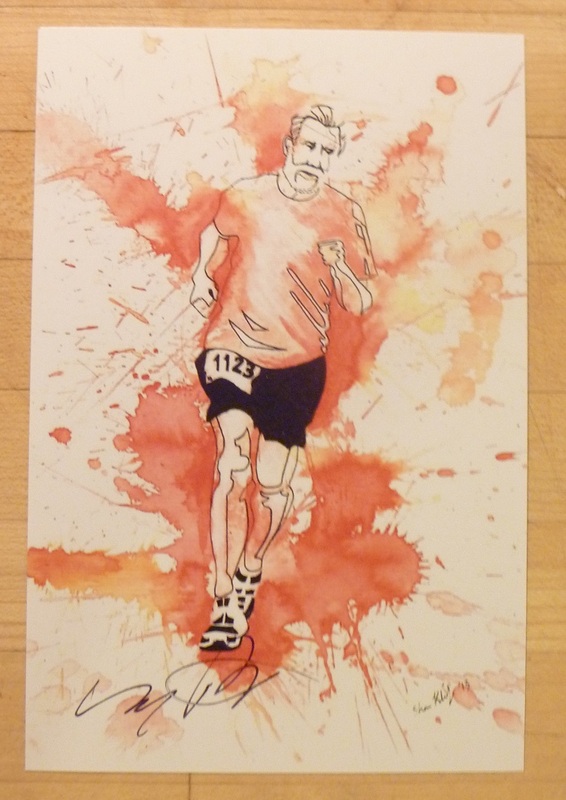 He wasn’t too thrilled about joining his new age group, because the 60-64 year-old runners around here are at least as tough as those ten years younger (hmm…wonder whom that might include), not to mention Doug Kurtis, who at age 61 just completed his 200th marathon of 3 hours or less. On Saturday’s run at least three of the front runners in our group were age 60 or above, Aaron among them. 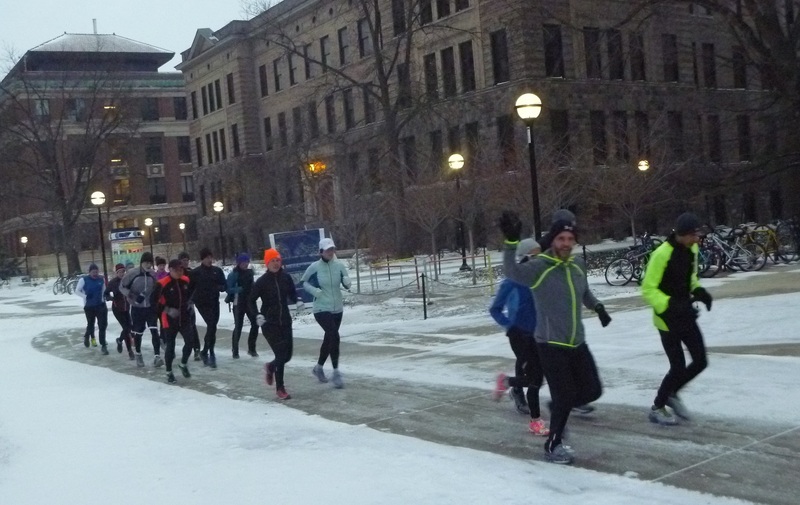 My 12 miles in the snow wiped me out – I mean, I was gassed – but I was pleased with my effort and that I’d stuck it out. So as I was preparing to leave, brushing the snow off my car, here comes Aaron cruising up the sidewalk. He’d done 14 miles. A talented artist in our group did this drawing of Aaron. Really captures his spirit! 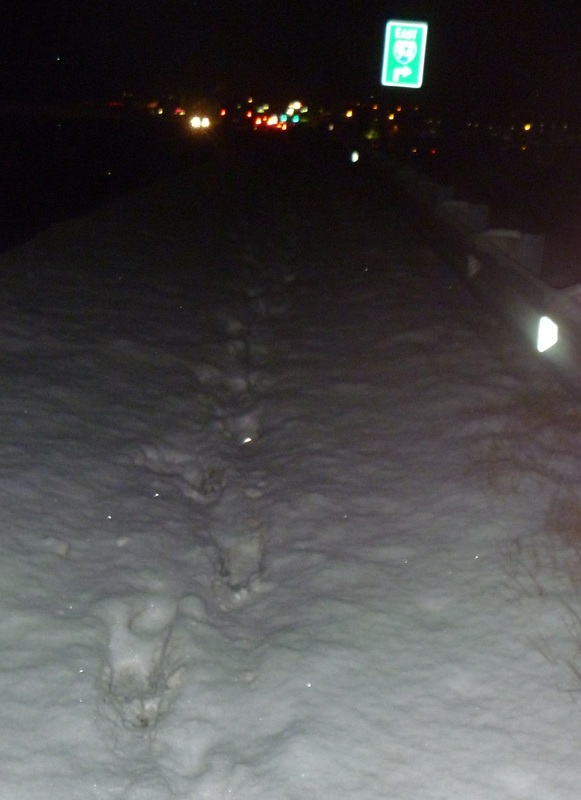 This entry was posted in Running & Cycling and tagged Bigfoot 5K, Doug Kurtis, Hoka One One, PR Fitness, Running, snow, winter. Bookmark the permalink.